Living in Los Angeles can be very anti-natural. Never-ending cityscapes and traffic jams become an inherent part of life, trees and stars seem few and far between and the only animals I come by are extremely small dogs and absurdly gigantic cockroaches. So after visiting a small town amidst a large redwood forest, it is of little surprise that I find myself writing a blog on nature. Outside of Santa Cruz, California, just north exists the town of Felton, a beautiful area minutes away from the cold waters of the Pacific and surrounded on all sides by redwood forest. This vibrantly small town rests half under canopy and half along the main street stretch. Reminiscent of an antiquated mountain mining town, Felton has much to offer. The gigantic redwoods and brilliant blue skies welcomed me in on my long journey from Los Angeles. 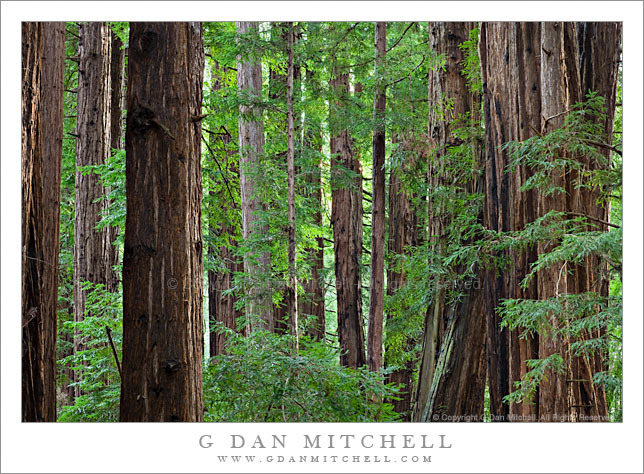 The moment I drove through the tall timbers, I felt a sense of deeply resonating awe. This feeling, a feeling I once lived, had been nullified and forgotten between the smog-ridden airways and traffic-jammed streets of L.A. I found myself thoughtless. Nature has a captivating ability to create calmness and peace. It ignites a flame of stillness that burns passionately and even. In this light, nature reveals what is lost in the darkness of the city – our bond and role within our surroundings. From the smallest microorganism to the largest standing redwood, nature displays an interwoven, interconnected, ballet of life where each part is dependent upon each other. As this bond is acknowledged, we surrender our separateness and understand our role in the greater environment of the world. Nature is the purest form of the ego-killer. In nature, a level of trust is required to survive. Each aspect of nature is dependent upon every other aspect. If one part fails, the entire system fails. Those living in nature depend on the seasons, the animals, the weather, and learn to live within their parameters. It is through these parameters that nature has created guidelines that will support a sustainable life. In turn, nature creates sustainable people. Instead of creating a river in the desert to build a home, the naturalist finds a home near a river. When a population depends on nature, it learns to be interdependent upon each other. The dependence is manifested in honest sociality that creates bonds based on social security, love, and truthfulness. In Felton, much like many other towns of nature that I have visited, everyone I encountered had something genuine to say. Whether it be a simple yet meaningful “hello” or a complicated story, I felt the compassion and humanity in every conversation. This type of society is a much more connected community than the largely segmented megalopolises of today. Nature has an uncanny ability to connect. It brings people together. I came to Felton to visit some friends and we had a lot to catch up on, but the moments that were most profound were those spent silent in the presence of nature. In this way we connected much more than any conversation could have delivered. Nature also has the ability to heal. The truthfulness of nature exposes the fraud of falsity. It brings to surface problems buried deep within the subconscious. Nature can tell you more things than any book or any person, without speaking a single word. It will make your denials dubiously obvious and will clear the path towards healing. When I go to the beach – the uncrowded, natural beaches – I can feel the healing tendencies of nature by just laying in the sun. Inside the city, these benefits don’t always apply. Trust is something left to a closed circle of loved ones and dependence is attributed to paychecks and hours worked. Instead of an elegantly unified ballet, a city more likely resembles the futile competition of a free-for-all bar brawl. The connections that do serve any purpose are most always circulated around monetary or social gain. Even conversations lack the luster of sincerity and love. So why live in a city? Why live in Los Angeles? I am sure all have their unique reasons. Mine involve gastronomic and opportunistic advantages. Yet, it will only be so long until I can no longer endure the disassociated life of a city-dweller. I have heard the redwoods calling, and can feel the pull to the mountains. Soon, I imagine, I will be graced with their powerful presence.